Leaving your four-legged friend behind isn't easy. You wish you could just have them jump in your suitcase and enjoy vacation with you! As your trip approaches, it can be a real challenge to find the right place for your furry friend to stay. 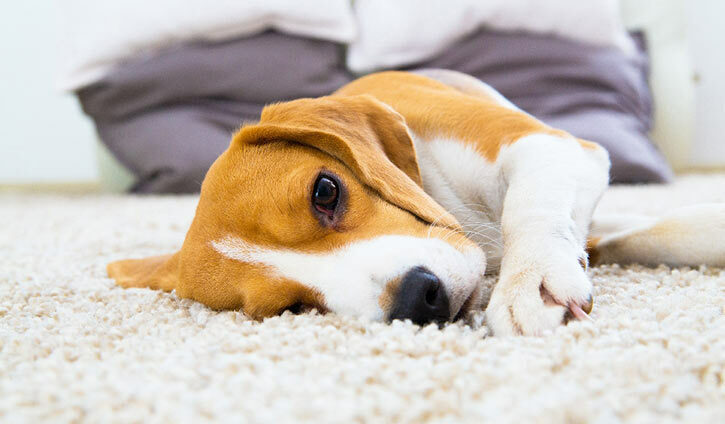 To make things easier, we have compiled tips and advice for when you're searching for a suitable caretaker for your beloved companion. Stop in, preferably with your pet, to check out the kennel you are interested in. Get a feel for how the staff is acting. Do you feel comfortable? Are the staff friendly and willing to answer your questions? Are they calm and kind to your pet? Ask about what the staff is trained to do in the case of an emergency. Reputable kennels will typically require an emergency contact if you are traveling far enough away to make impractical for you to return quickly. You should also make sure the kennel has arrangements with local vet offices and/or emergency animal care facilities. Be a little wary of any kennel that won't let you inspect its facilities during regular operating hours. Some kennels will claim this is to keep the pets calm and on a routine. If this is the case, they should allow you to return later that day, during a time the staff would be interacting with the pets anyway. The kennel should be clean and not smell excessively. Make sure your pet will be protected from sun, rain, snow, cold, or excessive heat. Check whether a dog has adequate space to run. It should be long enough for the dog to break into a short gallop and wide enough for the dog to wag its tail without hitting the sides. For a midsize dog, 4 feet by 10 feet is probably adequate. Ensure proper fencing is in place at the facility and that the animals are protected from each other. You never know how other pets will behave. Finally, you should also consider a one- or two-night trial run. This will allow you to check how your pet is acting when you pick him or her up, as well as how the staff and your pet are interacting. This can be especially important if you are planning a several night trip or will be traveling out of the country. If you're sending your pet to someone's home, it is always a good idea to leave them with someone you know and trust such as a friend, neighbor, or family member: preferably someone who knows your pet and shares similar philosophies on pet care. Don't be afraid to leave a list of ground rules anyway. Your aunt may think she's just giving your dog some extra love by feeding him from the table, not realizing that she is establishing a bad habit you now have to break. Also, be aware that there's always a risk of your pet causing damage to the caretaker's home or even escaping to look for you. If separation anxiety has been a problem in the past, seek your vet's advice, and let the caretaker know of any routines that calm your pet down, or any triggers they should avoid. Many people opt to leave their cat or dog at home while they're away. This can be an attractive alternative when you want your pet to feel comfortable in their familiar surroundings. Having someone like a friend or family member come to your home is a convenient option not only for caretaking of your pet, but enabling the caretaker to provide additional small services such as watering your plants or picking up your mail. Again, having someone you know and trust is ideal, and the same tips on ground rules apply. If you've been working on a behavior, make sure the sitter is aware and doesn't undo all your work while you are away. If you are looking at professional sitters, word-of-mouth recommendations from a trusted friend or family member is ideal. Barring that, references are a must. Many professional sitters are bonded and insured. Some may be members of a National Association, but note that there are no professional licensing requirements for pet sitters. It's better to ask what their credentials are: have they taken classes in pet behavior? Dog training? First aid? Also, be sure to check online sources for reviews as well, and set up a time to meet with them to ascertain their level of comfort with your pet. With this alternative, be mindful that if the sitter is not staying at your house while you are gone, your furry friend will be alone for long periods of time. Also know that other issues may arise that are not even related to pet care. Have a back-up plan in place should your primary caretaker be unable to continue with their pet sitting duties. When it's time for you to leave, always do so on a positive note and say goodbye in an upbeat tone. Your furry friend may even have fun while you’re away and enjoy their "vacation" as much as you will! Selecting the best option of quality care for your beloved companion can be a difficult decision. By doing your research, you'll know which option is best for you and your furry friend - whether it's to bring your pet to a kennel, have a caretaker come to your home, or bring your pet to the caretaker's home. And that will give you the peace of mind you need to truly relax and enjoy your vacation.